West Suburban Temple Har Zion is at 1040 North Harlem, River Forest, Illinois. 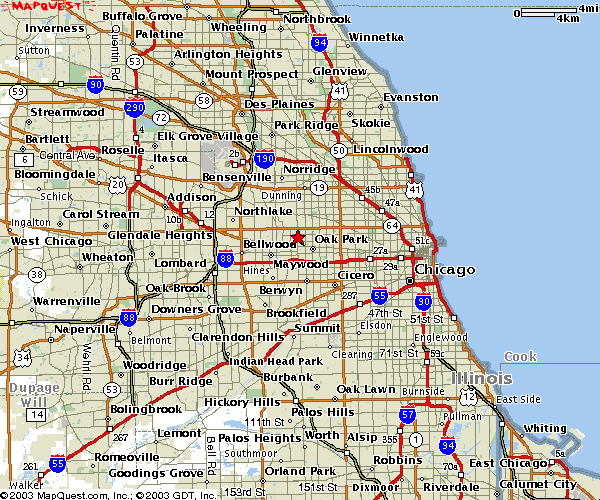 We are approximately 9 miles straight west of downtown Chicago. 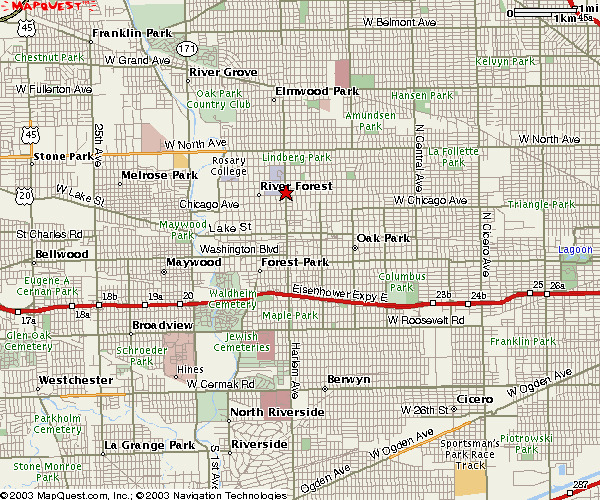 The easiest way to get there from the city or the suburbs is to take the Eisenhower Expressway (I 290) to the Harlem Avenue exit (it is a center exit) and head north about 2 miles to the Temple. The Temple is two blocks north of Chicago Avenue and 1 block south of Division Street, on the west side of Harlem, on the corner of Thomas Street. The parking lot is just south of the building. Return to Gropper Windows home page. Return to West Suburban Temple Har Zion. This page maintained by Leonard Grossman LG @ LGrossman.com who has his own wholly unrelated page.